I built Bike Index because I believed there needed to be a publicly accessible bike registration utility. At the time, I was excited about benefit corporations (organizations that support their mission with their business). After running Bike Index for four years (and becoming the most widely used registry in the world! 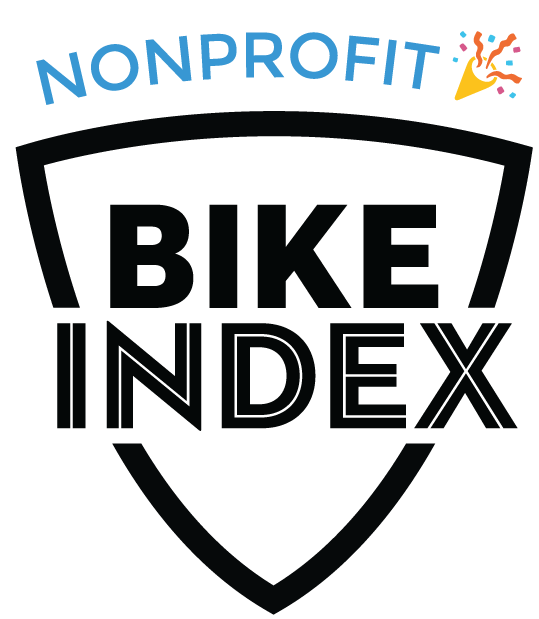 ), Bike Index cofounder Bryan Hance and I realized being a nonprofit is a better fit for what we do. We aren't interested in maximizing profits or delivering value to shareholders. We just want to register bicycles and help return stolen bikes to their owners. Bike Index has always operated as a public service without a goal of making money. You can see that in our basic functionality, we provide a database everyone can search. We believe open bike registration is a utility the world needs. So this doesn’t change anything about how or what we do, it just means you can make tax deductible donations!